A memorable dining experience is not just about the food – something Jayden Barker is all too aware of. 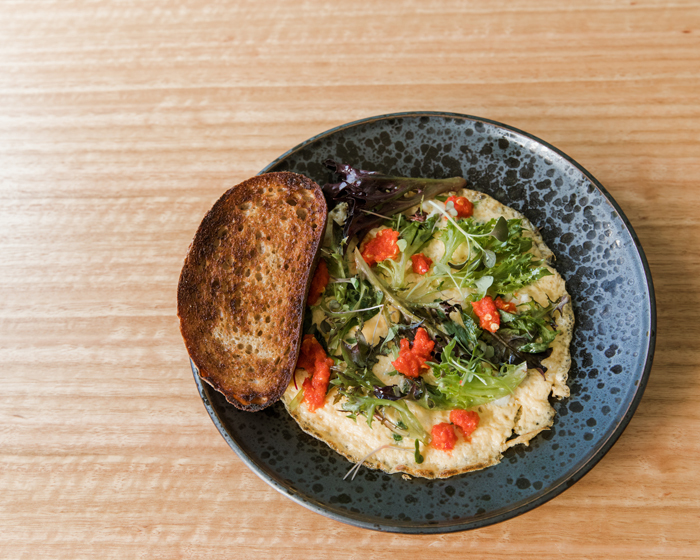 Having taken Gold Coast diners to new heights with Nero Dining in Broadbeach, this young Chef recently opened his second restaurant Frederick’s in Nobby Beach and has big plans for both in the next five years. 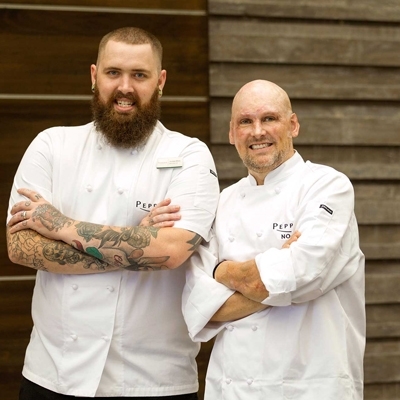 Father, Andrew Barker, and son, Chef Jayden Barker, head up the team at Nero Dining, Broadbeach QLD. 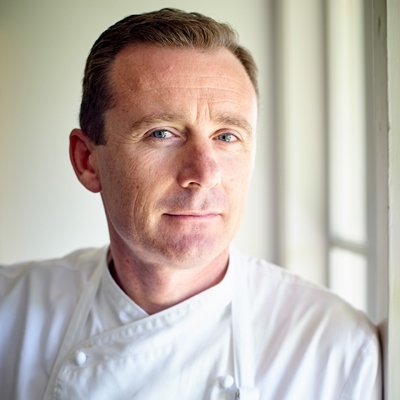 "Ultimately, I want to develop the ability to pair food with wine better than anyone else,” he says. "That is the direction I am headed, and I really want to push myself to learn more about wine. To get a really good dining experience you need to know what the wine can do to the food and [what] the food can do to the wine. 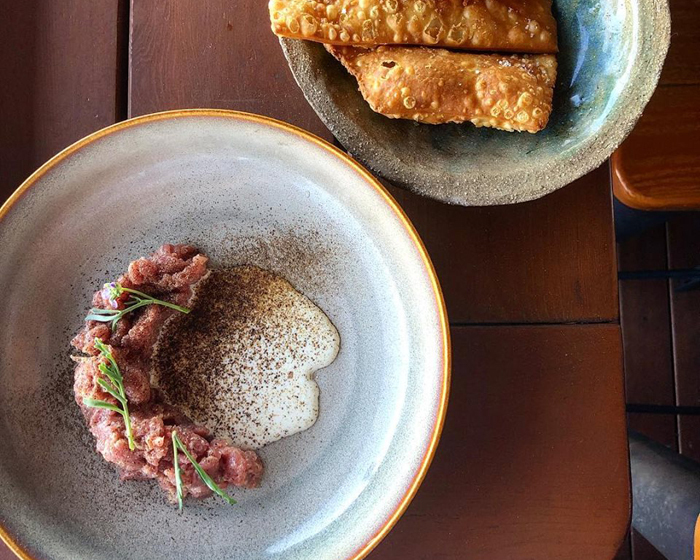 Veal tartare with pecorino, mushroom, beach mustard and gnocchi fritto at Nero Dining. 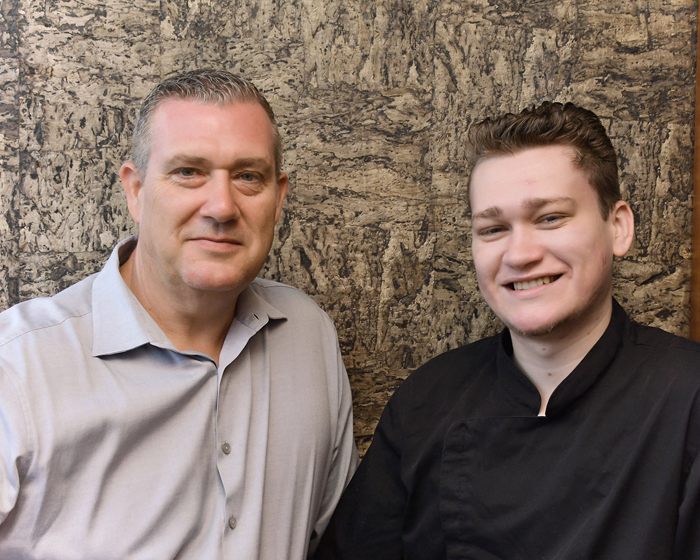 Under the watchful eye of Jayden’s father Andrew – who runs front of house and the sommelier duties at Nero – the restaurant has been the busiest in 2018, since it opened in 2016. 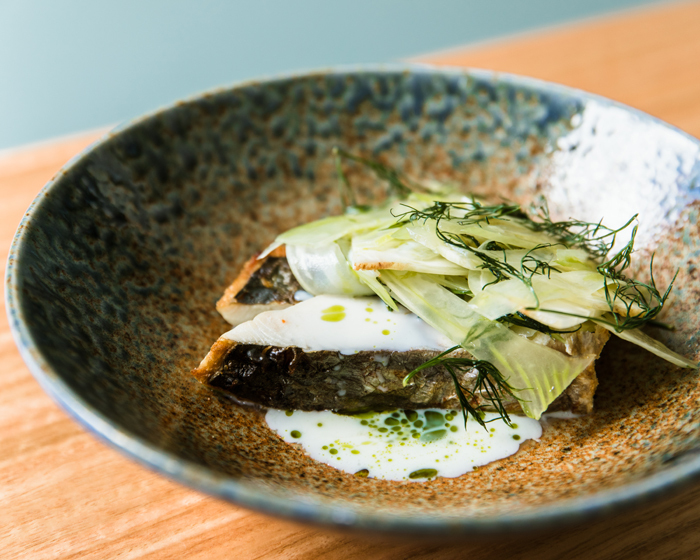 Roasted Mackerel with buttermilk, dill and fennel at Frederick's. 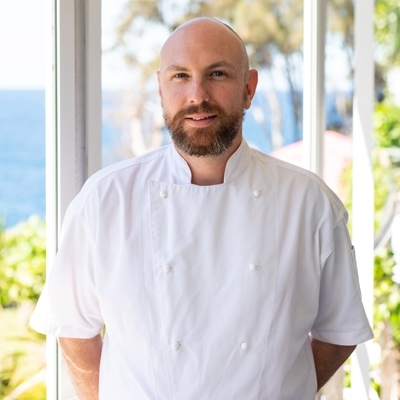 Jayden always wanted to have a degustation restaurant, plating up eight courses showcasing incredible dishes, but says for that to be successful on the Gold Coast, you need to build up your clientele first. 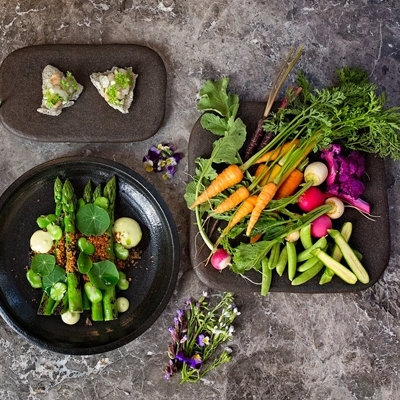 "Since day one to now, our food has grown into something we are really proud of. 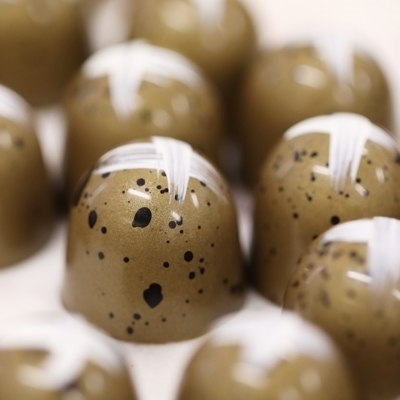 It is different, really well-crafted, using lots of fresh ingredients. We want to keep upping the quality – making nicer dishes using nicer ingredients – to make sure people who walk through the door are comfortable being there and with the menu. A recent addition to Nero’s offerings is Jayden’s take on a jam doughnut, which having tried myself I can honestly say is delicious. Duck is served two ways on the plate; a perfectly cooked breast and the leg is sandwiched in a brioche bun between a layer of housemade blueberry jam and fennel cream. Jayden’s describes his culinary style as Modern Australian and says he doesn’t like to tinker with things too much or put too many ingredients on the plate. "I really like smoky, barbeque style food – anything cooked over the coals. [Last year] has been all about cooking with coals and anything on bread, while [this year] my go to ingredient is nduja. We love it – people are a bit scared of what it is but once they eat it, they become obsessed with it. Still 100% on the pans at both restaurants, Jayden says his vision for the future is for both his restaurants to be Chef hatted and his staff to be happy. With that attitude and vision, there are certain to be more restaurants in Jayden’s future, serving innovative and creative fare and great wine.